Last Saturday, with the help of some members of the UCF Society of Environmental Engineers, we picked up over 200 pounds of garbage in a 5-mile stretch of road, in 3 hours. It's a warm, sunny Saturday afternoon and not a cloud in the sky. Perfect time to wash the car. But before you drag out the hose, bucket, soap and sponge, read our tips below on two simple ways to make your car wash a little easier on the earth. When we think of storm water pollution, the last thing that comes to mind is a good old-fashioned hand car wash in the front yard. Unfortunately, the toxic chemicals your car picks up on the road (gasoline, tar and oil) get washed into the storm drain. What's worse is the chemicals from non-biodegradable soaps also wash into these storm drains. Where do the storm drains go? To local lakes, rivers and streams. Clearly, we are not helping the water quality or the fish and wildlife that live in those bodies of water. 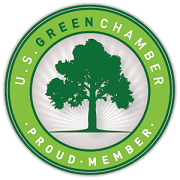 The good news is, we can reduce the environmental impact of our car washes in one of two ways! 1. Always wash your car on a permeable or pervious surface. Anytime you wash a car, choose a grassy or gravel covered area to keep the toxic runoff from flowing down the driveway and into the storm drains. 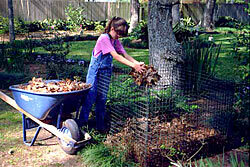 The earth's natural filters (dirt) help remove excess toxins, keeping them from polluting local water sources. If you're fortunate enough to live near a car washing facility, give it a go! Most car washing stops have drainage systems that send wastewater to a water treatment facility, which is a much better resting place for that dirty runoff. See! Being green can be easy! Just a few small changes can make a big difference. For more simple ways to leave a green footprint, follow our blog and check out TAPP's website. A Happy, Fun and Safe Fourth To All America! Look here to see the list of the 10 best Fourth of July fireworks ! We usually don't think of wearing scarves in the summertime, however, times are changing along with fashion. Scarves aren't just a winter accessory, especially when they are lightweight linen. Linen, a fabric which has been around since 8000 BC, is known for its exceptional coolness and freshness in hot weather. Linen scarves add a touch of feminine charm to any outfit. Even when worn wrinkled right out of the dryer they add a touch of elegance. Why not try your hand at scarf tying and give your summer outfit a cool new look. ....And good luck tying one on! Hemp for Victory & Victory for Hemp! Recent publicity over the expanding legalization of medicinal marijuana has overshadowed the quiet progress being made in the industrial hemp arena. For those who aren’t aware, hemp is to marijuana what O’Doul’s is to Budweiser. That is to say, industrial hemp is a non-psychoactive, subspecies of Cannabis with less than 1% THC and much more CBD, which counteracts the psychoactive effects of THC, rendering it useless for smoking (contrasted to that of marijuana which has upwards of 10 - 20% THC.) Hemp is used to make everything from clothing and paper, to building materials and beneficial food products. It is one of the most sustainable, rapidly growing crops, and yields nearly four times as much usable fiber as trees or cotton. It is a non-psychoactive species of Cannabis, yet it is illegal to grow in most of the United States. As early as the 1700s, hemp was a vital crop in the U.S. Prior to 1850 all western ships used hempen rope and sails; even Old Ironsides used hempen rope and sails. Conestoga wagons were covered with hempen canvas. The hemp industry was strongest in Kentucky, Missouri and parts of Wisconsin during the mid 1800s and thrived until the Marihuana Tax Act of 1938. Then, in 1942 the U.S. government released a short film made during World War II titled “Hemp for Victory” promoting and encouraging the industrial farming and growing of hemp. Why? Because it was costing far too much to import industrial fibers and products such as rope, cloth and cords from overseas. Over 146,000 acres of fiber hemp were harvested in 1943 until cheaper fibers for cording, such as jute and sisal, initiated a second decline in the demand for hemp. Cotton soon took center stage as a more profitable crop, and with more textiles being made from cotton the decline in the demand for hemp continued. And although it has been known for decades that hemp produces a higher quality and grade of paper, wood pulp continues to be our primary paper source, resulting in the continued deforestation and resulting degradation of our environment. In the 1950s, the confusion and association with its cousin, marijuana, resulted in anti-drug legislation banning all varieties of cannabis, putting a pointless end to one of the most useful, sustainable crops in our country for nearly 70 years. Thankfully, we are seeing signs of progress in Washington DC. This week’s federal farm bill approved by Congress includes a Hemp Amendment, which although doesn't legalize hemp production, does allow research on industrial hemp by universities and state agriculture departments in the 10 states where hemp production is legal: California, Colorado, Kentucky, Maine, Montana, North Dakota, Oregon, Vermont, Washington, and West Virginia. That means more support for proving that industrial hemp can be the U.S.’s next biggest sustainable crop. Eleven more states have introduced hemp bills this year: Hawaii, Indiana, Nebraska, New Jersey, New York, Oklahoma, South Carolina, Tennessee, Washington, West Virginia, and Wisconsin. And 14 states have defined industrial hemp as being distinctly different from marijuana and removed production barriers. There are two bills pending in Congress right now that would legalize hemp completely; House Resolution 525, the "Industrial Hemp Farming Act of 2013," and the companion legislation, Senate Bill 359. The U.S. hemp industry is estimated to be over $500 million in annual retail sales, with everything from handbags (left) to edible hemp hearts. The progress being made on Capitol Hill means hope for the U.S. at becoming a predominant source for one of most sustainable crops on the planet. Using a countertop compost pail in the kitchen is both a handy and attractive way to keep up with collecting kitchen scraps. 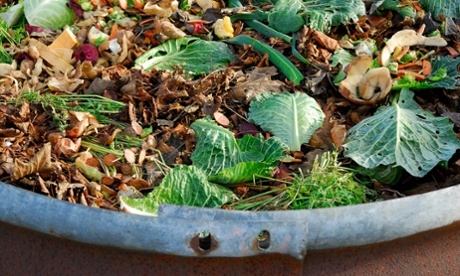 A day full of good food and drink can accumulate a lot of great compost material, and this week we celebrate composting! From coffee grounds to vegetable peels and orange rinds, once composted, can divert over 30% of garbage away from the garbage can. Composting also introduces beneficial nutrients to the soil by introducing microscopic organisms which aerate the soil, break down plant material, and create natural fertilizers and ward off plant disease. Just remember that the average household discards about 474 pounds of food waste a year. This is equivalent to about 1.5 pounds of food waste per person a day, so don't waste it...compost it! Fashion Revolution Day! Who Made Your Clothes? This year, Thursday, April 24 will be known as "National Revolution Day" in the clothing industry. On this day in 2013 over 1,130 people lost their life and over 2,500 people were injured when the 8 story Savar building in the garment district in Dhaka, Bangladesh collapsed. The building housed clothing factories, a bank, apartments and other shops. It is said that the illegal addition of two floors on an already substandard building caused cracks which led to the collapse. Savar Building collapse in Bangladesh garment district. It is said that tragedies lead to hope. The hopefull and promising results emerging out of this tragedy are leading to real change. Consumers are more aware than ever of where their clothing is made and by whom. Companies have signed the Accord on Fire and Safety in Bangladesh, and the Bangladesh government has increased minimum wage pay by 77%. Wear your clothes inside-out on April 24 and support the industry-wide transformation to a more sustainable future.